Sneakerbox, a Tel Aviv-based sneaker and fashion boutique, has revealed a special edition sneaker with an unusual aesthetic inspiration. 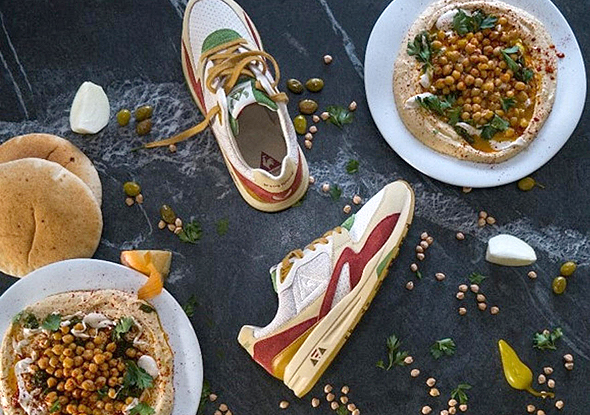 The sneaker is modeled after a plate of hummus, the ubiquitous Middle Eastern chickpea-based dish that has been at the heart of a culinary culture war between several countries in the region, each claiming hummus as their own. Hummus, a popular dish in Palestinian, Lebanese, Syrian, and Egyptian cuisines, is made from slow-cooked, mashed or pureed chickpeas, flavored with olive oil, lemon, tahini, and spices. 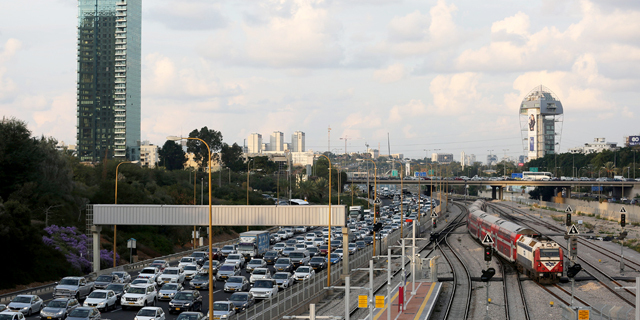 It was adopted wholeheartedly by Israelis, many of whom trace their origins to the Arab world and share in its culinary traditions. Hummus certainly did not shoot to fame based on its aesthetic appeal but the designer nevertheless managed to find inspiration in the dish’s beige hues and mushy texture. The shoes feature beige suede and canvas, with accents of mustard, blood-red, and green, representing the warm chickpeas, paprika, and parsley that often garnish the dish. “I’ve been in the sneaker business for 20 years, and this is one of my biggest dreams coming true,” Sneakerbox owner Ohad Lahav told Calcalist.